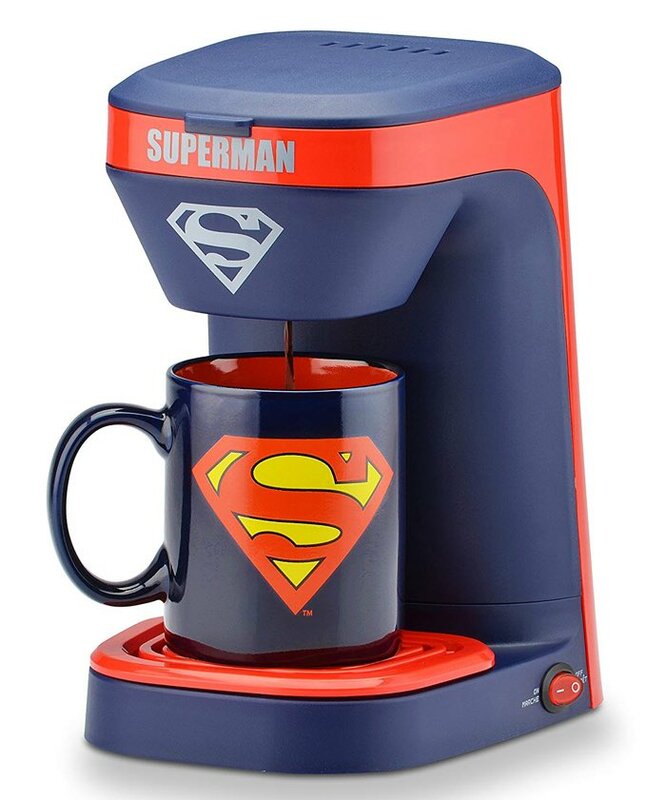 Get your cup of coffee, powered by your favorite super hero! This single cup coffee maker is very simple to use, perfect for smaller spaces, office or dorm rooms. 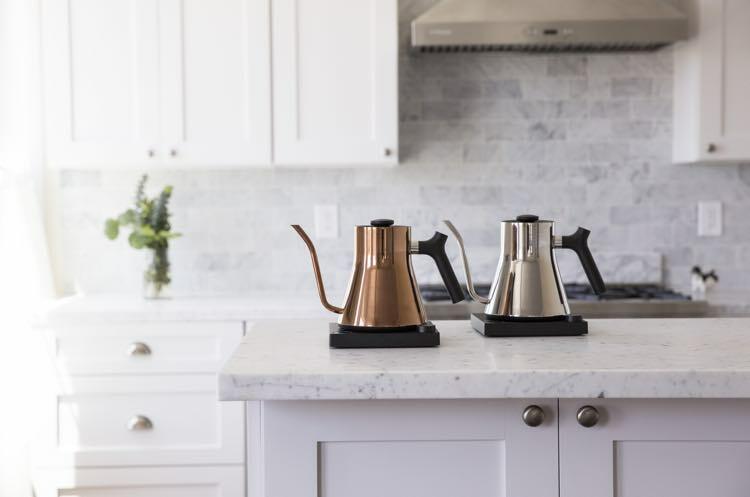 It uses a permanent filter and ground coffee for brewing, so no special pods required. And if Superman isn’t your type of guy, the machine is available in other designs like Star Wars, Wonder Woman, Captain America or Batman. Never run out of your favorite coffee pods again! 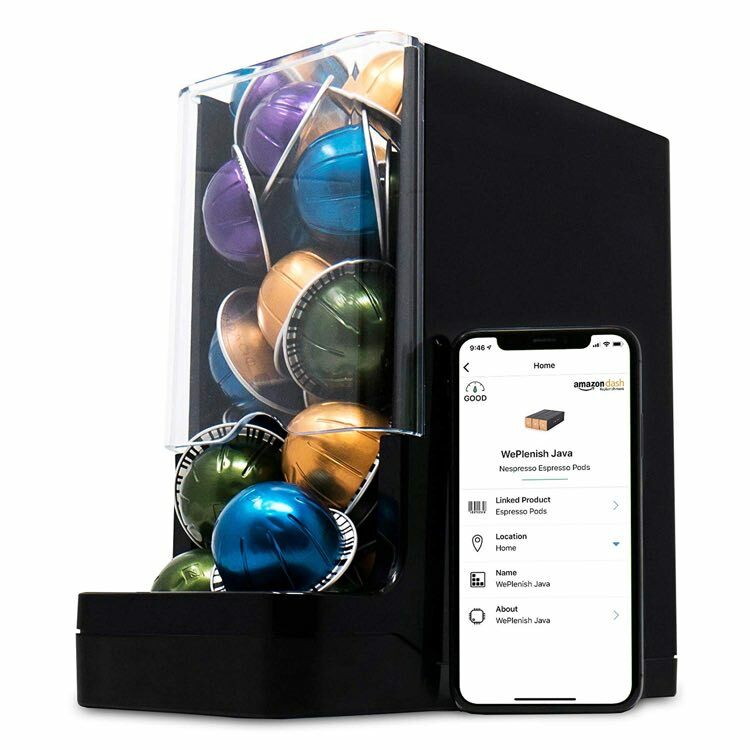 Whether you’re a Nespresso or K-Cup pod user, this smart container will make sure you’re always stocked on your coffee supply. The container has Amazon Dash Replenishment built-in, which means, once it senses you’re running low on your coffee pods, it will automatically place an Amazon order for you. Through the initial setup, you’ll link your favorite products so it knows exactly which pods to restock for you. The container is battery-powered and wifi enabled, so it’s completely wire-free. The battery should last up to a year before needing a replacement, and you’ll be notified of low power through the app on your phone. 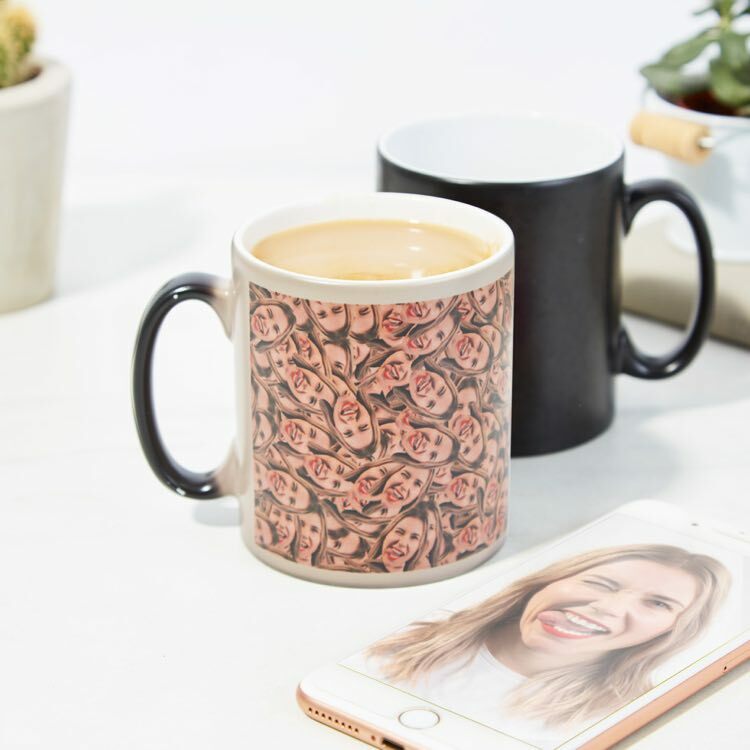 Create your own heat changing mug featuring your face, or anyone’s really! Simply upload a picture of you, your significant other or even your pet and the guys at Firebox will do the rest! The mug will start out with a plain black design then your design will start to appear as soon as you add in hot liquid. 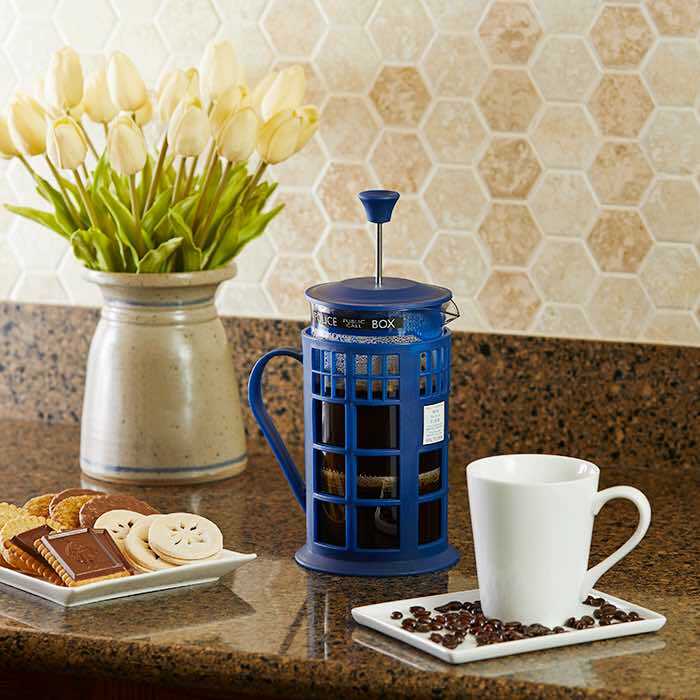 A ThinkGeek / GameStop exclusive, this French press takes the familiar styling of the blue police call box and wraps it around a tool that can fill us with caffeine. What more could we want? The carafe holds 34 fluid ounces, which comes out to roughly three standard mugs for the Time Lords out there.